Greetings from the UK. First, apologies for my extended summer break! I've been busy with work recently, although propagation conditions during the warmer months are never great for listening to the Dutch pirates. Since I last wrote on here there are been plenty of activity, but not the sort we particularly want to hear about. 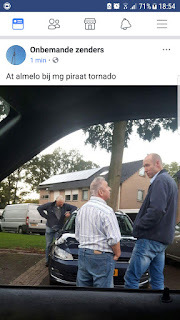 A couple of weeks ago, Friesland pirate Yogi Bear had a visit from the Agentschap Telecom after a night-time MW broadcast and was warned that further transmissions would result in a fine; Luxemburg also had a visit and a warning, and this evening the AT were active in Almelo, effectively closing down long-time regular Sunday evening pirate Witte Tornado. Having started out as pirates on FM in 1980, station operator Gerard and his wife Marion switched to MW in 2009 and have been broadcasting every week on 1647 kHz for the last eight years, rarely missing a Sunday and presenting a programme for several hours with a mix of Dutch and English music. They attracted a sizable audience of local and international listeners with a signal that was always very strong here in England. 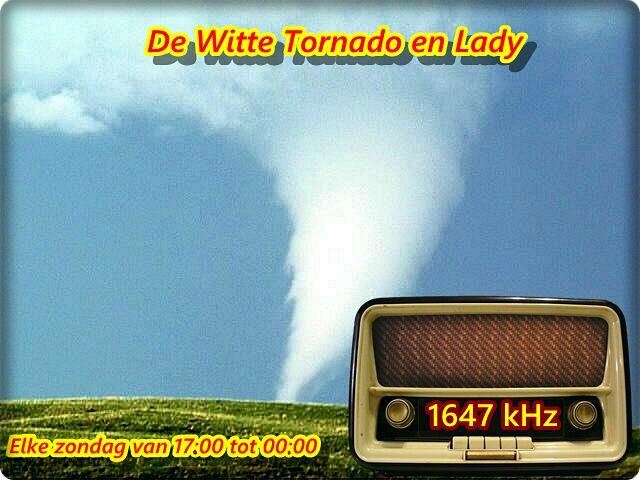 The station remained on air during and after the raid, but at around 1850 UTC a final announcement was made and Witte Tornado closed down for the final time . . . The couple must now wait for an official letter from the AT which will tell them of any penalty they must pay and what conditions have been imposed on them. The standard here is a warning of a 2,500 euro penalty if they are heard broadcasting again within the next five years. As soon as I know the contents of the letter, I will update the blog. We wish Gerard and Marion the best of luck for the future. Good to have you back with your blog. Hope you had a great summer with the family and it's not been all work. Thanks for the station updates and the bad news from Witte Tornado, it's a regular I'll miss. Cheers, Dave. Hi there. 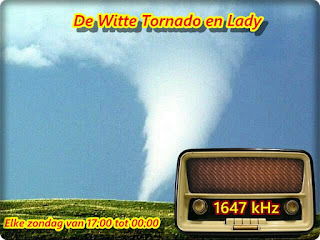 Terry here in Bristol: I actually feel quite gutted that Witte Tornado has been raided - Like Dave (above), I shall miss these regular broadcasts that are clearly audible on my communications receiver, blasting in without any external antenna. With OFCOM in Britain dishing out licenses for new AM stations like Caroline the Dutch authorities attitude seems totally retrograde - why on earth can't they just leave the pirates alone? Perhaps they think there are too many Dutch stations that all sounds the same..
marine vessels at Trintelhaven Harbour?